If you have just opened your water bill, only to find it much higher than you expected, you may be wondering if a water leak might be a possibility. A dripping faucet may not seem like a major concern, nor does a toilet that runs longer than usual. However, even a small leak can add up to a surprising 2,000 to 20,000 gallons of water, which can mean a whopping difference in your monthly bill. 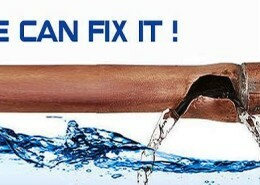 There are many types of plumbing leaks that may cause water loss. You may have a pipe leaking behind a shower wall, a leaking water heater, or even a broken water line. These may not only be costing you money on your water bill, or draining your well, but can also damage your home. Mold and mildew can grow, causing health problems. While some leaks, such as dripping faucets, may not require immediate attention, others may require emergency service to prevent further damage. 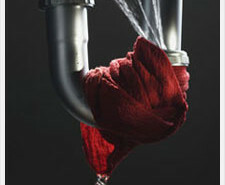 Knoxville leak repair can be on the scene in a short time, ready to locate the problem and do repairs. While some leaks, such as a dripping faucet or toilet that runs continuously, are quite visible, other leaks can be difficult to detect without the proper knowledge and equipment. The supply lines that lead to toilets, tubs and sinks are usually located behind walls or under the floors. There are also the pipes leading into the home from a well or street water main to consider as possible sources of leaks, and these are located underground. You want someone who is experienced in leak detection and repair to help you. Knoxville leak repair specialists have the most up to date equipment to find those hard to locate leaks and perform professional repairs with a minimum of mess. Knoxville Plumbing has a team of highly trained and professional experts to serve you. They are licensed and insured to ensure that you and your home are fully protected. The family owned and operated business provides you with a rapid request for service, with members on call at any hour. Your repairs will be done in a neat, professional manner, and they will make sure that you know up front what you will be charged. There will be no sudden surprises, or “added expenses” tacked onto your bill. 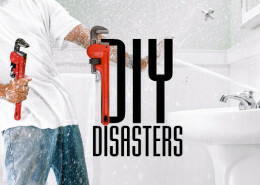 Plumbing leaks can be costly, and difficult to repair. You want the very best of Knoxville leak repair specialists to handle your job.